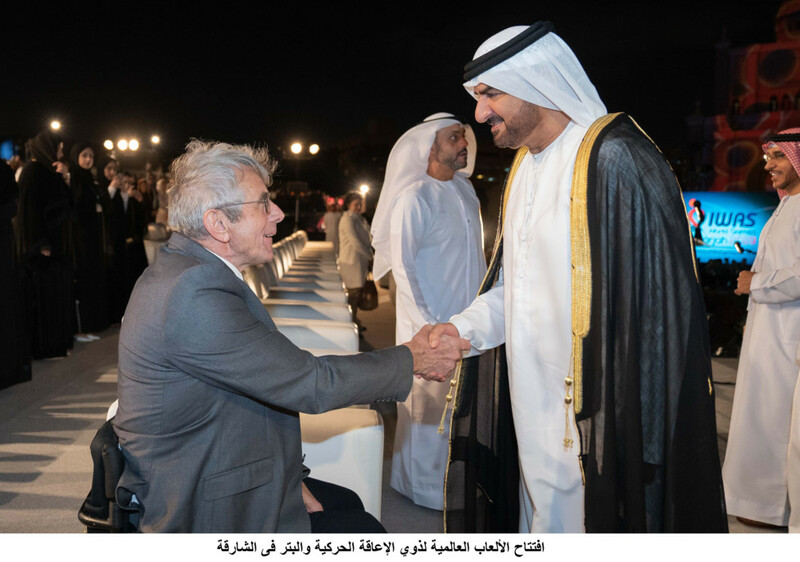 Sharjah: More than 500 athletes from 50 countries have gathered in Sharjah for the International Wheelchair and Amputee Sports (IWAS) World Games, which was officially inaugurated on Tuesday. Shaikh Abdullah Bin Salem Bin Sultan Al Qasimi, Deputy Ruler of Sharjah, inaugurated the IWAS games at a ceremony at Sharjah Municipality headquarters, attended by a number of shaikhs and top officials, sports figures, media and guests. This is the second time Sharjah is hosting the games since 2011. Attendees at Tuesday’s event saw a spectacular light show on the facade of Sharjah Municipality that portrayed the journey of the UAE and the achievements of Sharjah in the fields of history, culture education, social and sports. During the ceremony, an operetta titled ‘Al Thiqa’ was presented, which included two plays titled ‘Home of Happiness’ and ‘This is Sharjah,’ developed and supervised by Ahmad Salem Al Madhloum, executive director of IWAS World Games Sharjah 2019.